Background: In a survey of Mountain School graduates in 2012, the idea of creating a mechanism that would allow the school’s graduates to support each other's good work in the world was widely endorsed. 82% of respondents said they would consider contributing to such a fund, and 53% said they would consider applying to it! The only caution expressed repeatedly was that the new fund should not decrease donations to the Mountain School’s Annual Fund. 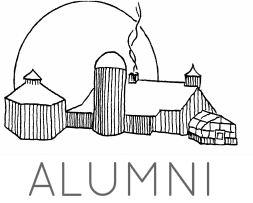 In 2013, ten graduates, ranging from Spring ’85 to Spring ’97, made generous gifts of $5,000 each in order to launch the new Fund, which the Alumni Committee decided to name after the Mountain School’s iconic landmark and symbol of growth, community, and aspiration: Garden Hill. The first grants were awarded in the fall of 2013. Garden Hill Grants continue to be awarded on a twice-yearly basis, each fall and spring, through a selection process that involves both a committee of graduates as well as current students. ​If you are interested in donating to the Garden Hill Fund, please contact Annie Janeway, Director of Alumni Relations. Grants from the Fund support the good work of Mountain School graduates of all ages as they bring to life the mission of the school—to reach beyond the self and focus on the common good—in their own communities and the larger world. The Garden Hill Fund is a response to two missions. The first is the mission of The Mountain School itself: The Mountain School cultivates a diverse and interdependent community of scholars who learn to know a place and take care of it. Through collaborative learning and shared work, students emerge from their semester prepared to reach beyond the self and focus on the common good. The second is the mission of the Mountain School Alumni Committee: The Mission of the Mountain School Alumni Committee is to support a dynamic community of Mountain School graduates by connecting them to each other and helping them carry forward the intellectual curiosity, celebration of place and commitment to service we associate with The Mountain School. Mountain School graduates may apply for Garden Hill Fund Grants of up to $10,000, or Mini-Grants of up to $2,000 for projects that benefit “the common good” in a range of ways. We are also open to other creative responses to the two missions.